You find yourself in the middle of the forest and have that deer in sight. You stand still, concentrate, stop breathing, and decide to take the shot. However, you had a weak shot and the noise forces the animal to escape. You run after the deer deep into the woods, spot the animal and succeed with your second shot. But wait, you went too deep and cannot trace your way back. You are lost, but you understand this would never have happened if you had the best Garmin GPS. You spend hours finding your way, and luckily, you come across other hunters who help you get back to your camp. It’s time you made a choice to avoid these kinds of situations from occurring in the future. 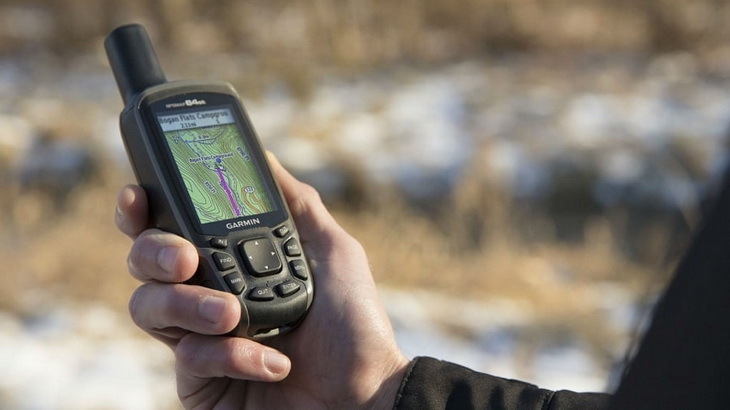 To do so, you need to know of the best handheld GPS gadgets for your outdoor adventures. This article offers a review of the best devices available in the market. 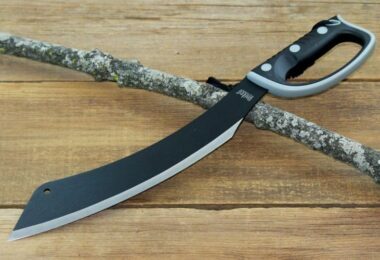 Owning one of these will make it possible for you to trace your way back once you get lost in the wilderness. Initially, the handheld GPS devices were designed for use by the military. With the Russian Sputnik satellite, physicists from the United States discovered that the Doppler Effect made it possible for them to track satellite location by measuring the distance of receivers on earth and location. After years of technological advances, it’s now possible to enjoy these GPS systems. Most systems are easy to operate and provide great convenience for those in virtually any location. Although owning one of these models is suitable for outdoor adventures, some people have no clue of how to choose the best systems for their outdoor tours. 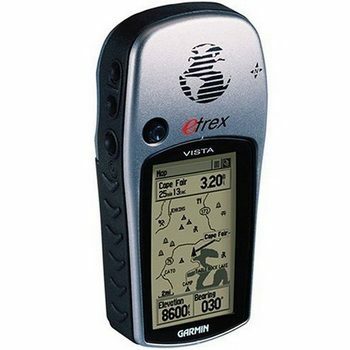 Here are some pointers you will need to consider when looking to buy a GPS equipment. These aspects are a significant consideration when it comes to choosing a GPS system. The lightweight and smaller GPS units have smaller displays that make it almost impossible to read maps. Even when set in high-resolution modes, smaller screens can be quite difficult to read. Although there are models that come with touchscreen features they can still be difficult to use with gloves. Therefore, it’s advisable to look for gadgets that have large displays for readability and convenient operation. This feature is of personal preference. There are models such as the Garmin Dakota that come with a single button, and everything else is controlled by the menus on the touch screen. A touch screen is suitable for quick navigation while the buttons are preferred for tactical feedback. The choice of either of these options solely depends on what you would prefer, but a touchscreen model gives you that modern touch. Most handheld GPS models have some built-in compass. 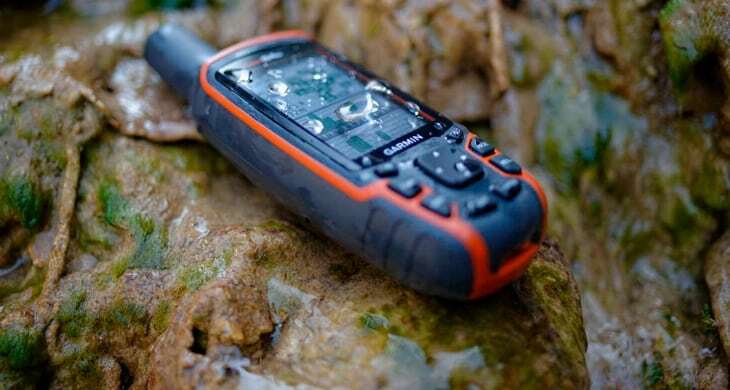 The best units are those that come with electronic compasses that work independently of the GPS. When you lose satellite signal, the compass will still help you to navigate. The best GPS models feature maps preloaded. The inexpensive systems come with a single map loaded, which can easily differentiate between land and water masses. During your outdoor adventures, you need topographic maps which reveal details such as summit elevations, terrain contours, vertical trail profiles and routable trails. If you are using the gadget for waterway navigation, you will need Marine Maps which provide data on wrecks, depths, tides, restricted waterways, etc. All GPS models come with altimeters, but the expensive systems have a barometric altimeter, built in, that offer a detailed and precise indication of the altitude. Aircraft pilots mainly use barometric systems. WAAS is a feature which you would want since this aspect increase the accuracy of GPS readings by five hundred percent. Currently, this feature is available in North America, but this system is compatible with three other SBAS (Satellite Based Augmentation Systems). The three SBAS are MSAS-Asia, EGNOS-Europe, and GAGAN-India. 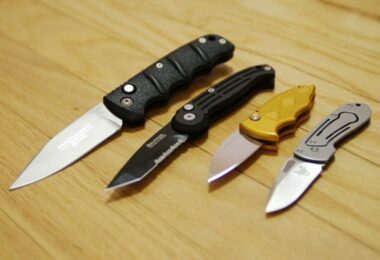 These three SBAS are meant to be interoperable. When you have WAAS, the GPS position data will be available to you regardless of where you travel. We are now going to bring you the top product reviews on GPS devices so you can get a feel for the devices that you can purchase currently. Happy shopping! 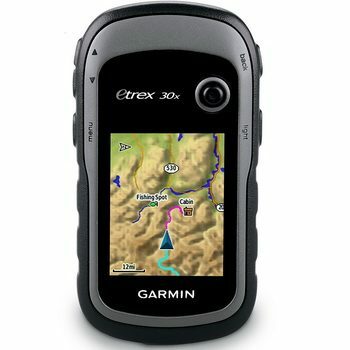 Description: The GARMIN eTrex 30x GPS Navigator is an upgraded model of the eTrex 30. This gadget comes with an expanded and enhanced internal memory that makes it possible for you to download various maps. This rugged, dependable device retains the affordability and ease-of-use that the eTrex is legendary for. The Garmin eTrex 30x can track both GLONASS satellites and GPS simultaneously. These features combined with the a3-axis tilt-compensated barometric altimeter and electronic compass makes this gadget one of the essential gear to have during your backpacking tour. Users enjoy the preloaded base map as well as the wireless function. With the built in sensors, you know exactly where you are if you ever feel lost! Users say that they can fit it right in their pocket with ease and it is easy to take anywhere, and the GPS device is highly durable and can withstand a few bumps in case you drop it. Related: You can store your Garmin in the Garmin eTrex 10314 Carrying Case which is under $20 and is made of nylon, so it will not crack and it is able to clasp onto your pants for easy use. Description: The Garmin GPSMAP 64 GPSfeatures a built-in global base map with shaded relief to help you navigate any place without any hassles. With the photo navigation feature, it’s possible to download geotagged images online and navigate to them. With the quad helix antenna and extreme sensitivity, GLONASS and GPS, receiver, this gadget finds your position and maintains it even in deep canyons and heavy cover. Therefore, whether you are next to all buildings, or trying to find your way in the woods, you can always count on the GPSMAP 64 to assist you to locate the way to your destination. Apart from that, this gadget makes it possible for you to add more maps with an array of detailed marine, topography, and road maps. 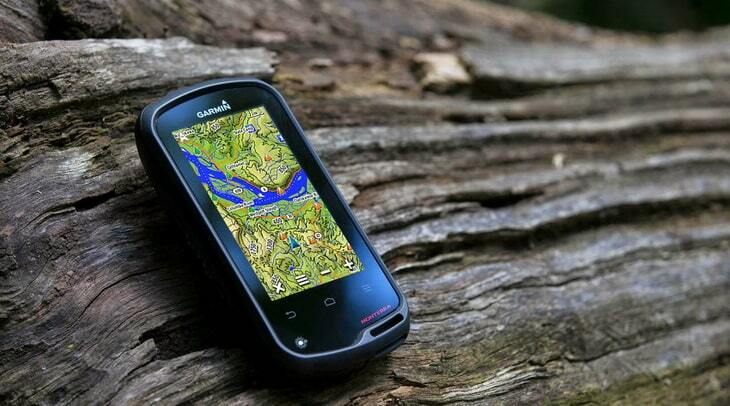 With a microSD slot and a 4 GB onboard memory, it’s possible to download TOPO 24K and 100K maps. The BlueChart® g2 preloaded cards are suitable for use on water while the City Navigator NT® map data can be used for routing on the roads. This gadget also supports BirdsEye Satellite Imagery which makes it possible for you to load images satellite images onto the gadget and incorporate them with into maps. 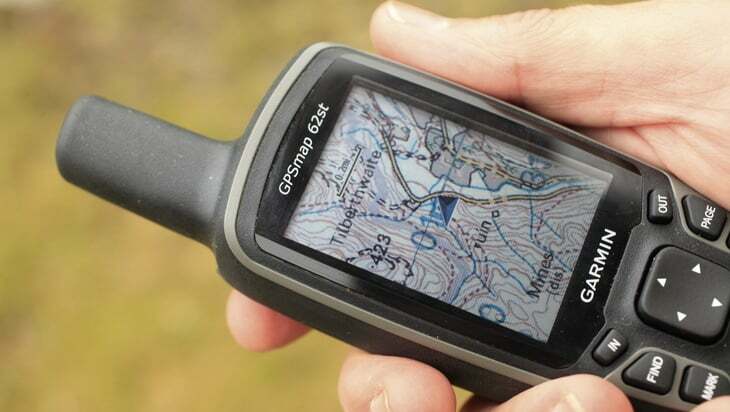 The GPSMAP 64 features paperless geocaching with two hundred and fifty thousand preloaded caches with descriptions and hints from Geocaching.com and has a battery life of 16 hours. Going paperless is a suitable way to conserve the environment and also improves efficiency. This device stores and displays key information including terrain, location, difficulty, description, and hint, which implies there’s no use of manual coordinates and paper printouts! Lightweight and slim, it’s an excellent companion for all the outdoor pursuits. With the GPSMAP 64, you can take charge of your upcoming adventure using the BaseCamp™ software that allows you to organize waypoints, maps, tracks and routes. This software makes it possible to create Garmin Adventures which can be shared with family, colleagues, and friends. BaseCamp shows topographic map data in 3- and 2-D, including elevation profiles and contour lines. Related: If you are worried about damaging the screen to your new GPS device, consider the Akwox AK-GL049 Screen Protectors that are not only a hard film but they are scratch resistant, too! Description: In golf, innovation is everything. The design and software innovation incorporated into the Garmin Approach G6 Golf Course are meant to help you reach your next level. With over twenty-five thousand preloaded courses and a built-in rechargeable battery, this device is the ultimate asset for a serious player. 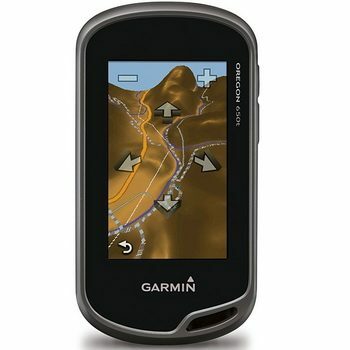 This GPS device is handheld and has a nice touchscreen, plus it is water resistant. You can preview courses all over the world in a detailed manner, down to each hole. You can keep track of your own stats, such as putts in a round or the number of fairways you have hit. Users have enjoyed this Garmin device because they can wear gloves while using it and it loads maps quickly. It seems to have the ability to find your location nearly instantly. You can also zoom in when you are on the green and see your distance to the hole. Users say it is a great tool for playing! 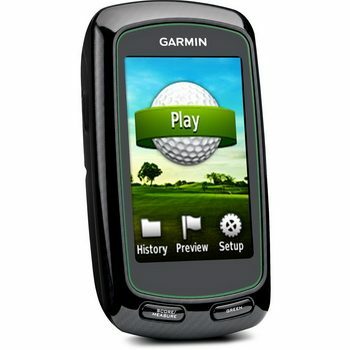 Related: If you don’t feel like holding your Garmin device, you can always mount it in your golf cart! The Caddie Buddy Z93VQG Golf Cart Mount works for several Garmin devices like the one we reviewed and clamps down on the roof for easy use. Description: The Garmin Oregon 600t Handheld GPS has reflective display technology for an excellent, bright, readable touchscreen ever made. The screen has been reinforced for impact resistance and incorporates multi-touch as well as dual orientation views which accommodate gloved operation. The device incorporates a state-of-the-art dual battery system. You have an option of, the traditional AA batteries, or the NiMH pack. The latter charges when Oregon 600 is connected to an external power. This device comes with built-in topographic data for the United States, including Hawaii, Alaska, and Puerto Rico, as well as a Global Basemap with shaded relief – all features for serious hiking or climbing. Details of the map include state, national, and local forests and parks, along with elevation information, terrain contours, rivers, trails, points of interest, and lakes. The Oregon 600 comes with the 3-axis electronic compass and accelerometer tilt compensation that shows where you’re going even when you are not in motion. The barometric altimeter tracks help in pinpointing your exact altitude. You can use the altimeter to plot barometric pressure to keep an eye on weather changes. 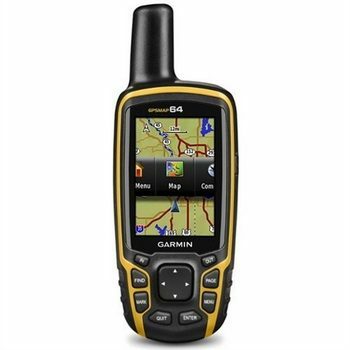 Apart from the above, this device allows you to share your waypoints, routes, tracks, and geocaches up to fifty-times faster with other compatible Garmin devices. Additionally, it’s possible to share huge files such as photos, custom maps, and Garmin Adventures. Just click “send” to transfer the information! Adding maps to this device is easy. Add Trailheads Series TOPO maps to explore famous tracks such as the Pacific Crest Trail and the Appalachian Trail; add TOPO U.S. 24k maps for an amazing trail experience. You can include satellite images with the maps using BirdsEye Satellite Imagery. Related: For this device, you will want the case holder. The GizzMoVest WOYTIK Garmin Oregon Case will hold this model and others in the series and it has a lanyard clip and belt clip. It’s heavy duty and made in the USA. Description: From the moment you hold the Garmin Oregon 650t Handheld GPS, you are ready for the new world of Garmin GPS mapping. With advanced GPS and GLONASS satellite tracking, worldwide maps, preloaded TOP U.S. maps, worldwide base map with a faster processor and shaded relief, you don’t just view maps, but also interact with them. The multi-touch features make it possible for you to zoom in, pan out and rotate. Moreover, the touchscreen is compatible with different gloves, giving the convenience you require even during cold conditions. The reflective display technology provides the brightness that allows you to view the displays vividly. 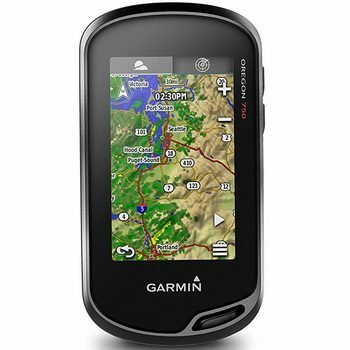 Uses have enjoyed this Garmin device because it has a camera that takes 8MP photos, and it is very simple to operate. While the battery might not last super long, you can grab some extras and enjoy the outdoors without getting lost. Users also like the ability to geocache, and it has the option to save filter lists for future geocaching. This product is durable and fits in the hand nicely. Related: While this product is durable, you should still consider a screen protector. The ArmorSuit 4J5N7M Screen Protector has lifetime replacements, which means it is meant to last a long time. It has self-healing technology and is made in the USA. 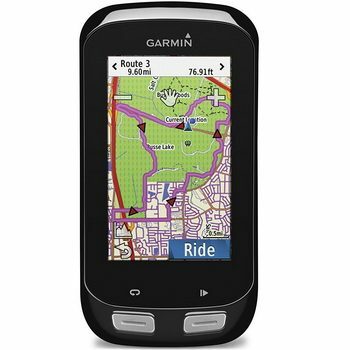 Description: The Garmin Edge 800 Handheld GPS is one of the most recommended gadgets when you are on outdoor adventures. The maps are significant when riding a course, and the touch screen is handy. Although you may experience some difficulty due to positive errors, although these depend on your personal settings. However, this is an excellent computer for riders who love to explore different tracks. Anyone can use the Garmin Edge 800 for their outdoor escapades. This model is enabled for cyclists and those who like to bike. It includes options to ride with a virtual partner or you can use the virtual racer option. This model also has a receiver that is sensitive, plus it has a built in heart rate monitor and a sensor to monitor your speed. The screen is 160 x 240 pixels and has the Garmin Connect online community where you can share your data and analyze your own data, which users love! Related: The Velo Endeavors H034SI Garmin Mount and Tether Set is a set that includes a bike mount for your Garmin device as well as a safety tether so it can stay close to you. This set offers a 100 percent money back guarantee. This device incorporates a built-in electronic compass, which offers bearing data even when you’re not in motion. It also features barometric altimeter which tracks pressure changes to identify your exact altitude. You may also utilize the altimeter to plot barometric pressure, which is essential in helping you to keep an eye on the weather conditions. The Vista HCx makes it possible for you to expand the memory. Adding maps to the gadget is easier owing to the microSD card slot. This feature accepts cards that are preloaded with MapSource data for sea and land excursions. Insert the MapSource card with full street maps and the gadget will offer turn-by-turn directions to the desired destination. What’s more, the card is located in a waterproof compartment, so you don’t need to worry about issues of moisture. In addition to appreciating its compactness, you will also be happy with the gadget’s unique button layout. The Vista HCx has five buttons located on both sides. The benefits of this model are two folds: with the button on the sides, the front part id dedicated to sunlight readable TFT display, and; the design makes it easier for you to operate the gadget using just one hand. The large TFT display makes it possible for you to distinguish various map features regardless of whether it’s day or night. Related: While this device is pretty durable, you can purchase the Garmin 010-11734-00 eTrex Carrying Case which is the case for this model. It is under $10 and has an opening so you can clearly see the screen. 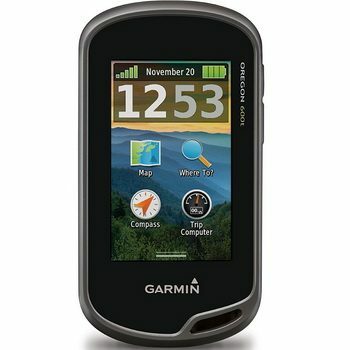 Description: The Garmin Oregon 750T Handheld GPS creates an extra-sharp focus and is suitable for the outdoor adventures. The gadget features a preloaded top U.S. 100K Maps, Built-in 8 Megapixel autofocus camera, Birdseye Satellite Imagery subscription, and a bright 3” touchscreen display. When in challenging conditions, the redesigned antenna for the GPS and GLONASS satellite receptions necessitates optimum tracking. Other features of this device include a barometric altimeter, 3-axis compass, expanded wireless connectivity, automatic geocache downloads, among others. With the Garmin 750t, it’s possible to download software, upload your adventures to the Garmin online community, and receive smart notification. 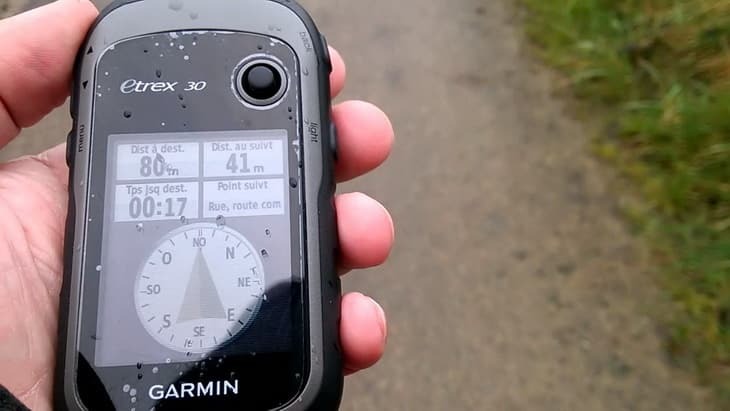 Users like this GPS device because they can use it for a variety of ways. Some have used it for search and rescue or for disaster relief. It is interesting to see how GPS devices can be used in such scary situations, where it is a matter of life and death. This device can hone in on a location with accuracy to possibly save lives! Related: The Garmin 11855 Backpack Tether will hook onto your backpack and then onto your GPS device to keep it from getting lost, but still giving you easy access. Made of nylon, the strap is adjustable and it is under $20. Description: With highly detailed mapping, a wide menu of ride metrics, an easy-to-follow aide, and the varying kinds of wireless connectivity, the Garmin Edge 1000 GPS is one of the most robust GPS gadgets you could use for your outdoor adventure. This device comes with preloaded maps, mounts, and USB cable that add to your convenience. The package also includes a heart-rate strap, speed sensor, and cadence sensor. This device is used for biking, too. 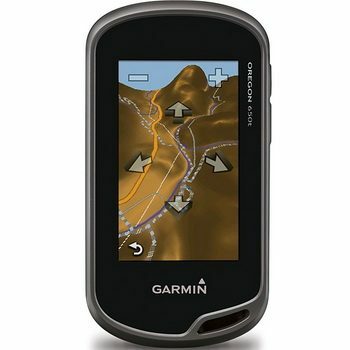 You can do competitions on Garmin Connect, as well as do on or off road navigations and pinpoint points of interest. Users like that they can choose Route Trip Ride Options and can instantly upload data to Garmin Connect Mobile. Plus, you can access features like phone calls and texts, sharing to social media and send or receive courses to the device. The touch screen display is 3 inches and it has an ambient light sensor that will adjust the brightness, and users love taking it on their cycling trip, as well as in the mountains. Related: You can buy a remote control for your Garmin Edge device. The Garmin 12094 Edge Remote is durable, can go underwater up to 50 meters and includes LED lights for indicators. 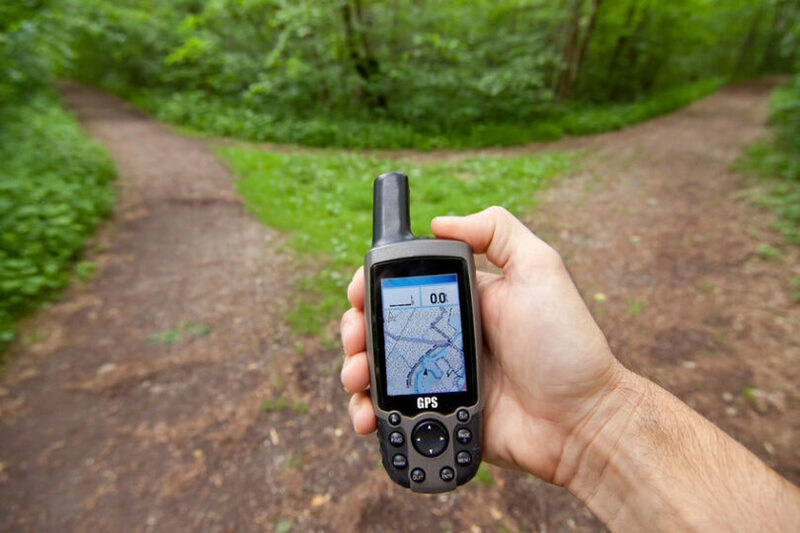 A lot of GPS devices available in the market are manufactured by the renowned Garmin Company, but there are other models from Bushnell or Magellan that would also be suitable for your outdoor adventures. 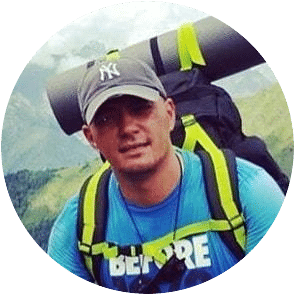 With the options provided in this review, there is a good chance you will find what you need for your next hiking or camping adventure. So, have you made a decision about what you will be purchasing? Let us know by posting in our comment section. We will be more than glad to hear from you. Shares will also be appreciated. Best Winter Hiking Boots: Save Money, Buy Right! Dog Hiking Boots: Dogs Paws Feet Protection as Well!